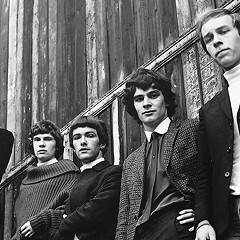 The Zombies play Friday, but have you heard Colin Blunstone's solo albums? We all hope for such an amazing photo. 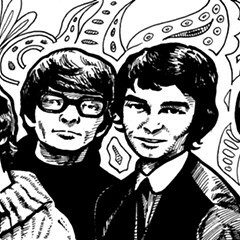 On Friday the British group the Zombies play the Star Plaza Theatre in Merrillville, Indiana, and they'll be performing the album for which they're best known, 1968's Odessey and Oracle, in its entirety. The Zombies famously split up before the album was released, and even though they recorded some incredible singles Odessey and Oracle is so well regarded that it tends to be the only album that casual fans know about. 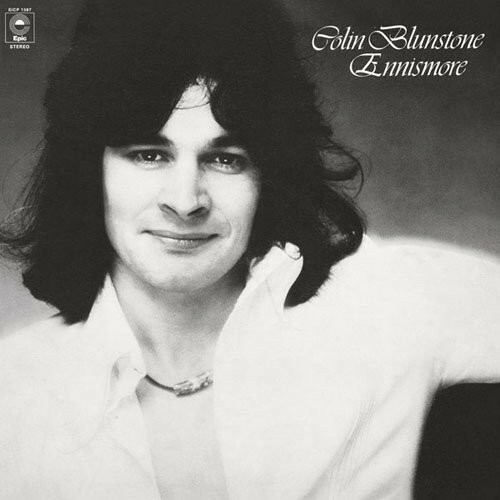 However, lead singer Colin Blunstone went on to have a rich, though relatively unsuccessful, solo career, best exemplified by his first two albums, 1971's One Year and the following year's Ennismore. Though the more baroque and melancholy One Year seems to be the more appreciated of the two (perhaps because it retains a lot of the orchestral majesty of Odessey and Oracle's more elegant numbers), I prefer Ennismore, a breezy run of upbeat power-pop that is up there with the best of early Todd Rundgren and even Big Star. My favorite song on the album (and my favorite Blunstone solo song, period) is "I Want Some More," an expertly crafted cut that could be just as at home on classic-rock radio as it would be on a rare power-pop compilation. The rest of the album is dynamite, but none of the other tracks quite match the exhilaration of "I Want Some More," which is today's 12 O'Clock Track and posted below.